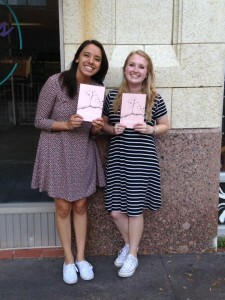 The Black Tulip was held on Friday, April 22nd at Monks Coffee Shop in downtown Abilene. The Black Tulip is held every year for the release of The Shinnery Review, but we did it a bit differently than I think people have in the past. We wanted to have it at Monks because we felt like coffee and poetry, fiction, and photographs went really well together and it’s just got a great vibe to it. It was scheduled to start at 6:00 and we had a lot of people show up right away for the event. 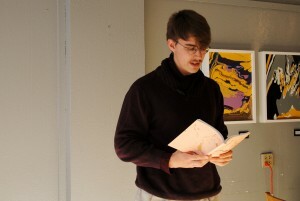 People spent a little while looking at copies we had placed around the coffee shop and once more people showed up, people who submitted their works of poetry or fiction had the opportunity to read a piece allowed, and we had about ten people read their pieces. It went very smoothly, and everyone seemed to be enjoying themselves! 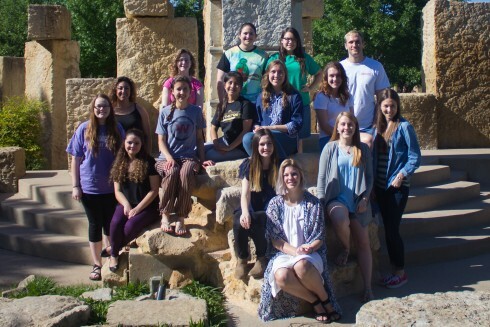 As for the magazine itself, it is an entirely student-led publication; we’ve got quite a few students from the Language and Literature Department that participate, but we’ve also got students from other departments as well. We started accepting submissions for the publication at the beginning of this semester so we’d have enough time to go through all of them, as well as edit all of the pieces. We had a lot of people submitting pieces of poetry, short stories, as well as photographs. In the end, we had about 40 more pages of content than last year so we really had a great turnout for submissions. There are so many talented writers and photographers and this university, and I believe The Shinnery Review is a fantastic opportunity to showcase their work! 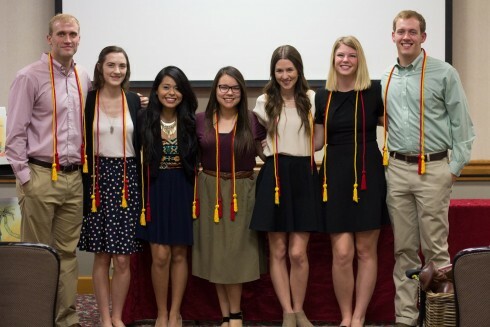 This year, Sigma Delta Pi has over 20 members. 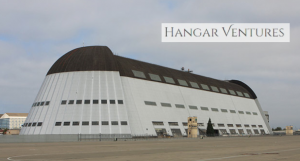 It’s fantastic to see this great organization growing and doing so well! 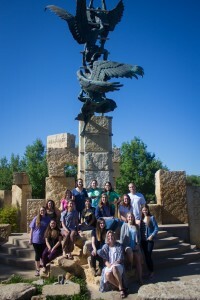 Pictured below are current members, though several are missing. Fink will be a guest host for a special departmental chapel at 11 a.m. and give a public reading at The Grace Museum ballroom from 7-7:50 p.m. 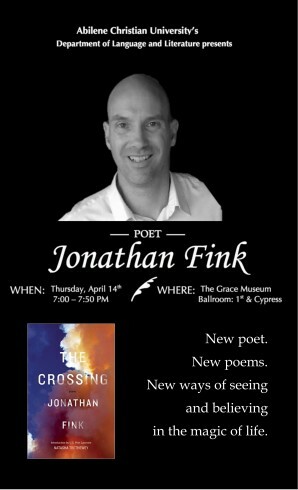 The evening poetry reading will be followed by a book signing of Fink’s new, highly praised collection of poems, The Crossing. The Department of Language and Literature is also hosting a “Dress as Your Favorite Poet” costume contest. 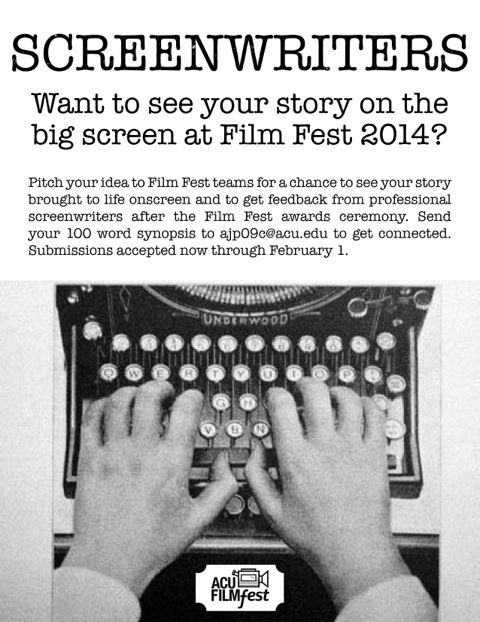 Any ACU student can enter, and the winner will receive $50. To enter, just dress up and come to The Grace Museum ballroom on Thursday night, April 14 at 6:45. 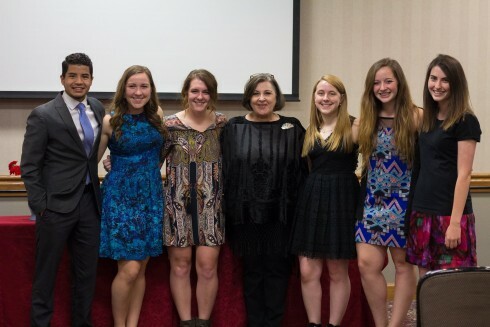 Participants will be judged before the poetry reading begins at 7 p.m.
Fink has received several other poetry awards and fellowships, including a fellowship from the National Endowment for the Arts. His poems and essays have appeared in The New York Times Magazine, Poetry, New England Review and others. It is an honor to have this Abilenian poet come back to his hometown and share his work, so come out and show your support. 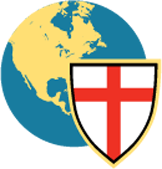 Description: It provides opportunity to contribute to communications efforts of four different levels of an international church: the congregations, the diocese, the province, and a parachurch organization. It is a unique chance to experience the distinct priorities of each entity and the interrelationship between them. 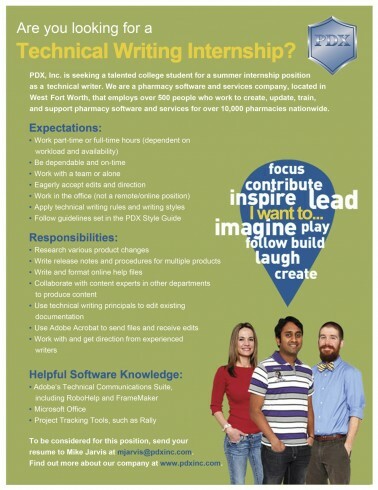 If you are looking for an internship opportunity where you can get paid for your writing, apply today! 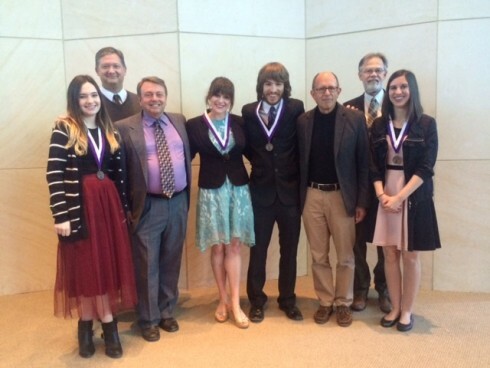 Completed applications should be sent to Dr. Stephen R. Weathers, Chair, Student Internship Committee, Department of Language and Literature, Abilene Christian University, ACU Box 28252, Abilene, TX 79699 or emailed to weatherss@acu.edu. 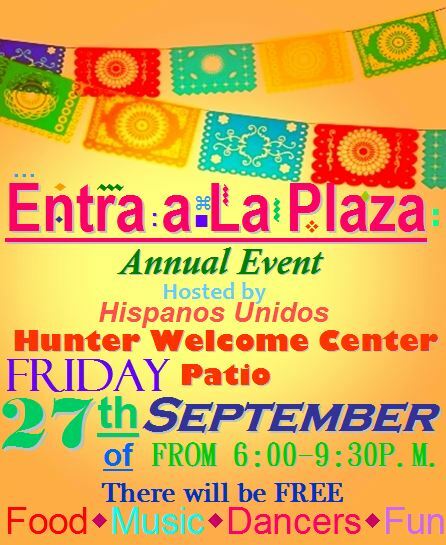 Join us for Entra a La Plaza in the Hunter Welcome Center Friday, September 27th! 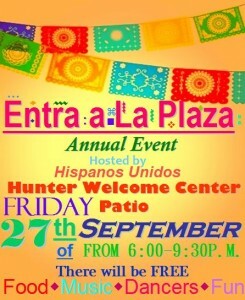 There will be FREE Food, Music, Dancers and Fun!